Manchester United star Anthony Martial limped off the pitch in the 63rd minute for the Red Devils this evening and fans are worried that the star’s injury could be serious. 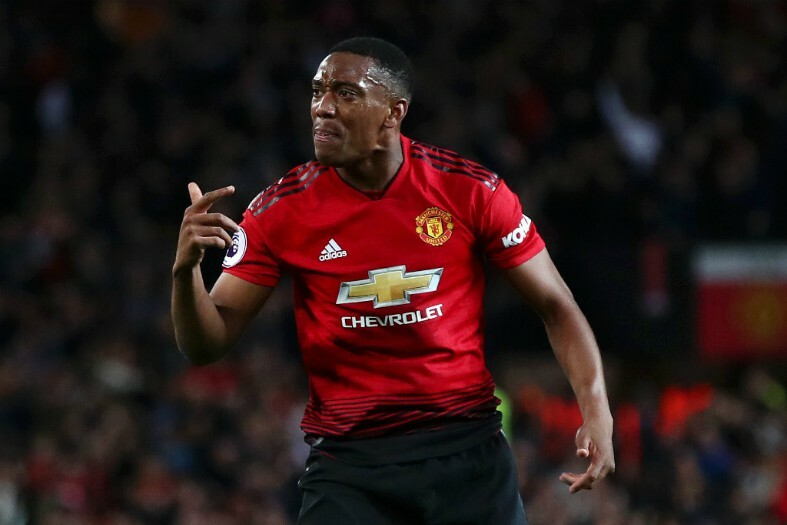 Martial got his 23rd birthday off to a flying start in the 30th minute when he equalised for the Red Devils but the birthday boy’s night ended in misery after he was forced off with injury. 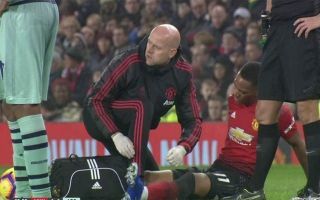 Martial pulled up his hamstring after he chased back for United, the winger fell to the ground and United’s physio ran onto the pitch to treat the Frenchman. Martial has been the only bright light in United’s poor season so far. United’s physio immediately signalled to the United bench that the attacker would need to be subbed off straight away, Martial made way for target man Romelu Lukaku. Fortunately for Jose Mourinho the Red Devils were able to manage without the Frenchman – albeit just about. Arsenal took the lead once again in the 68th minute from a Marcos Rojo own goal after Alexandre Lacazette was tackled in the box. Jesse Lingard was United’s saviour as he reacted quickest to a massive defensive mixup from the Gunners. The Arsenal backline couldn’t deal with a long ball pumped up to Romelu Lukaku and the ball ran free back towards goal where Lingard snatched his chance with both hands. There have been no updates from either Mourinho or the club on the attacker’s injury and is yet to be known whether or not the birthday boy will return for United’s Premier League clash with Fulham on Saturday afternoon.